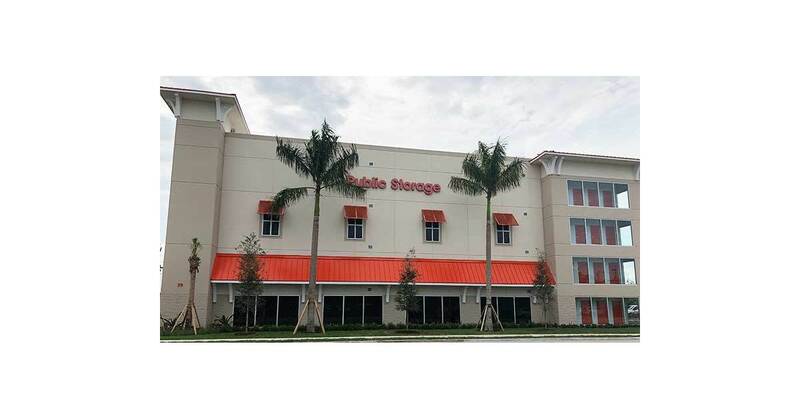 GLENDALE, Calif.–(BUSINESS WIRE)–Public Storage (NYSE:PSA) opened its newest self-storage units in Deerfield Beach, Florida, over the weekend. Located less than two miles from the town’s boardwalk, they are in an ideal location for storing seasonal gear and more. The new Public Storage at 39 SE 1st St., Deerfield Beach, FL 33441 offers more than 1,300 spaces, from indoor, climate-controlled units to convenient drive-up outdoor storage. Public Storage and its construction partner built the handsome four-story building near City Hall from the ground up with the goal of enhancing the neighborhood. It offers a tan exterior, traditional eaves, and Public Storage Orange awnings that replicate classic Bermuda shutters popular in the area. South Florida is experiencing double-digit population growth, and residents in the area are feeling the squeeze with slower commutes every year. Thankfully, Public Storage always strives to locate its facilities where they are easy to access, and this new spot is no exception. It is conveniently located between I-95 and Highway 1 at Hillsboro Boulevard. Deerfield Beach is a palm-lined town of 80,000 named for the deer that used to roam the area. Part of the greater Miami area, it is now known more for its sea turtles, water sports and fishing pier. Public Storage is constantly working to serve a growing need in the area. In fact, it opened another brand new location nearby a year ago as Public Storage 3460 SW 8th Street, Miami FL 33135. For more information, visit the Public Storage Blog. Follow Public Storage on Facebook and Twitter. We help customers in their time of need, whether moving, downsizing or storing for business. Public Storage was founded in 1972 with a single Southern California self-storage building. We’ve grown a bit since then, to more than 2,402 locations around the country, making us the largest in the business today and a member of the S&P 500. We offer self-storage options of all shapes and sizes and the same personal attention from on-site managers that we’ve been giving from day one. For stockholders, we are a real estate investment trust, meaning we distribute a large portion of revenue to public investors in the form of dividends. Learn more about Public Storage at https://www.publicstorage.com.